Effective Pain Relief: Turmeric or Ibuprofen? Sadly, aches and pains are a daily and continuous nuisance for many people. A report released by The Institute of Medicine of the National Academies revealed that at least 100 million Americans suffer from chronic pain (and this estimate is considered a highly conservative one, as it doesn’t include acute pain or chronic pain in children). As a means of comparison, that’s four times the number of people suffering from diabetes and nearly ten times the number of people suffering from cancer. In order to understand the impact chronic pain has on the lives of those, it afflicts, an organization called the American Pain Foundation conducted the Voices of Chronic Pain Survey in 2006. The results were sobering: 51% reported that they feel helpless to control their pain, 50% reported a significant impact on the quality of their lives, and 70-86% of all participants reported symptoms of depression, insomnia, poor cognitive function, and chronic fatigue. Chronic pain is a debilitating issue that can adversely effect one’s quality of life and overall health. 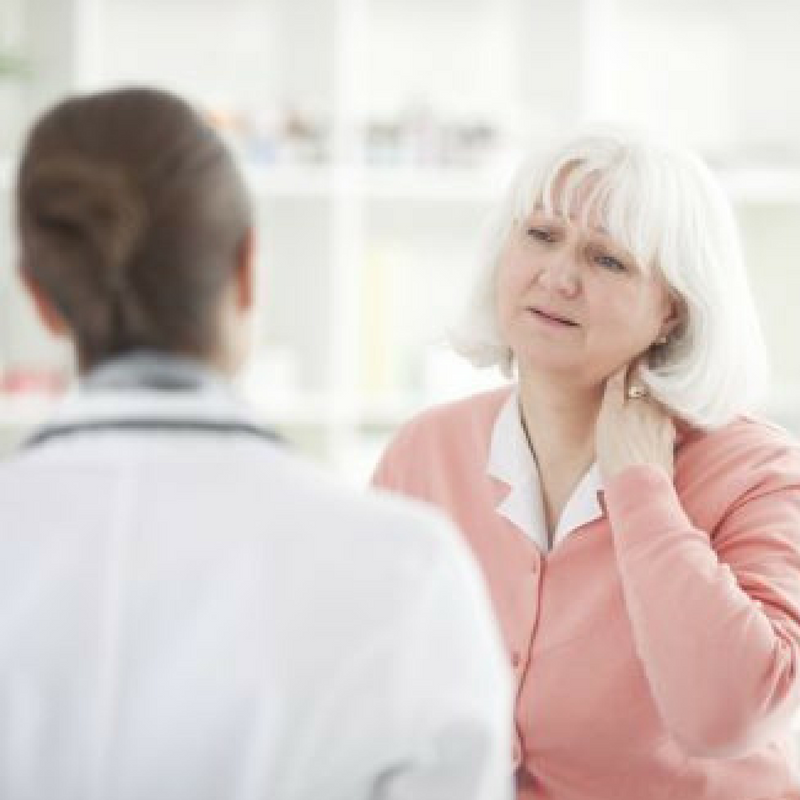 Whether the suffering of chronic or acute pain takes the form of lingering injuries, arthritis, headaches, menstrual cramps, or some other malady, the underlying cause of this pain response is the same: inflammation. And for the vast majority of people, the workable solution for inflammatory response is non-steroidal anti-inflammatory drugs (NSAIDs), ibuprofen being one of the most popular. Ibuprofen and other NSAIDs work by temporarily stopping the endogenous production of inflammatory chemicals—for a short while, they essentially trick the body into overriding its inflammatory response (and thus the pain that comes along with it). The way in which NSAIDs work is certainly ingenious, and they’re a lifesaver for many people in pain. Unfortunately, they have a dark side too—a growing body of research reveals that NSAID consumption is linked to increased risk of heart attack, stroke, ulcers, gastritis, and other serious health problems. And don’t think that prescription pain medications are any better—if anything, they’re more dangerous. Nearly half of all annual deaths from unintentional drug poisoning involve prescription painkillers. Many people are even aware of these risks, but because of the suffering brought on by their pain, they believe that avoiding painkillers just isn’t an option. It just so happens that turmeric is one of the world’s most perfect anti-inflammatories. This powerful little root has been the subject of thousands of studies, and many of them have focused on the potent anti-inflammatory effect of curcumin, one of turmeric’s many healing components. Researchers have shown that turmeric is capable of blocking the production and release of pro-inflammatory cytokines, just like NSAIDs . Unlike NSAIDs, turmeric accomplishes this feat without any side effects or risks. Turmeric has other tricks up its sleeve too. It also acts as a powerful antioxidant and therefore provides extra inflammation control by scavenging the free radicals that cause oxidative stress. It even ramps up the body’s production of its own antioxidants, including superoxide dismutase, glutathione, glutathione reductase, and glutathione-S-transferase. These antioxidant enzymes have been shown to be orders of magnitude more adept at eliminating inflammation and fortifying your body’s self-healing abilities than any food-based antioxidants. This two-pronged approach makes turmeric doubly effective and allows it to give the immune system an antioxidant boost while curbing pain and inflammation. The same can’t be said for NSAIDs, which often hamper the immune system. Inflammation is, after all, a function of the immune system, and acutely suppressing its response without taking the rest of the body into consideration is bound to take its toll. Turmeric functions in a far more sophisticated fashion, solving health problems by balancing the body as a whole system, rather than trying to poke and prod its isolated parts. Slowly but surely, medical scientists are coming to terms with the fact that isolated compounds rarely function as “intelligently” as full-spectrum plants, the latter of which are able to adapt to the body’s needs. Many scientists became believers in turmeric’s holistic healing power when a 2014 study demonstrated that turmeric works just as well (or better than) ibuprofen for relieving aches, pains, and other symptoms of inflammation. Arguably, the laboratories of modern medicine haven’t even come close to designing medicines as perfect as those evolved by nature. No matter, though—all we really need to do is embrace the natural healing tools that have been offered to us. And in this case, all of the information above clearly shows that choosing turmeric over ibuprofen is a no-brainer. ***PLUS Turmeric is a great natural option for healing your gut and protecting your brain! Click on these links to read more! If you’re not already familiar with the particulars of using turmeric therapeutically, note that just putting a few extra shakes of turmeric powder in your cooking recipes isn’t going to cut it (though doing so certainly won’t hurt). To truly harness the pain-relieving power of this plant, you’ll want to find a high-quality supplement. Here’s the issue: curcumin (the anti-inflammatory compound mentioned above) has a very low bioavailability, which means the body has a hard time absorbing it. In order to benefit from it, you need to take a large amount of concentrated extract, and you need to ensure that the extract will be absorbable. There are oodles of turmeric powders and extracts on the market, but many of them still aren’t very bioavailable. Furthermore, many of them focus only on curcumin, which is only a part of turmeric’s magic. Scientists don’t yet claim to understand the synergy of turmeric’s components, but they do know that tumerones and many other undiscovered compounds work in conjunction with curcumin. 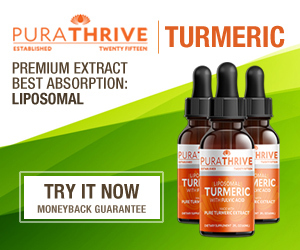 We believe this Organic Micelle Liposomal Turmeric with Fulvic Acid from Purathrive is the best turmeric product on the market. 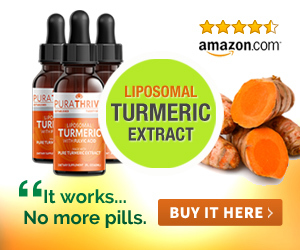 Its state-of-the-art micelle liposomal delivery makes it up to twenty times more absorbable than regular turmeric, and its full-spectrum formulation and added fulvic acid ensure that you get all the pain relief that turmeric has to offer. Give it a try…you deserve to live pain-free, without the side effects of painkillers. **BONUS – do your four-legged friends suffer from joint pain, likely caused by inflammation and/or arthritis? Check out this video to learn how turmeric can be good for your dog too!